At Stand Up NY, we are extremely proud to call a number of local New York businesses our partners, and welcome inquiries from others looking to join us. For a number of years, we enjoyed a wonderful partnership with Serafina on the Upper West Side, who joined with us in providing our audiences with some of the best Italian food in the city. 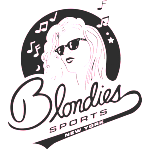 Currently, we are extremely excited to announce a brand new partnership with Blondie’s Sports Bar on West 79th street; a restaurant that boasts an extensive menu and a fun, energized atmosphere. 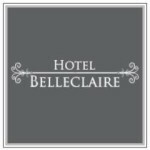 Finally, Hotel Belleclaire has also joined us as partners; a venture about which we could not be more enthused. Since 1903, Hotel Belleclaire has epitomized class and customer service for New York’s Upper West Side. 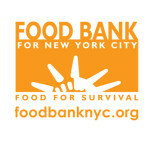 We at Stand Up NY wish to continue to grow our relationships with other eager businesses in the city, and would like to create more mutually beneficial partnerships in the process. If you have a venue or business and are interested in partnering with us, please reach out in an e-mail to laugh@standupny.com and include the subject line: Partnership. American Bartenders School is the best bartending school in NYC. Licensed by the State Education Department, accredited by the Better Business Bureau, and taught by real professional bartenders, the school ensures that graduates are ready for the real world of bartending the minute they step out of the classroom. Each graduate gets access to the database of daily job leads as well as free job placement and interview training. American Bartenders School has relationships with over 1,000 bars and establishments nationwide, ensuring our graduates the most job opportunities compared to graduates of other bartending schools. Bartenders in New York City can make up to $300 per night in tips! Sign up for class today or click here to learn more about American Bartenders School!